The NPE2015 international plastics exposition is only ten months away. It will be an exciting show, even bigger than NPE2012, with larger booths and more equipment operating on the exhibit floor. There will be important co-located events, including SPE ANTEC® 2015, the world’s largest plastics technical conference; SPI’s Business of Plastics Conference; a Spanish-language seminar for visitors from Latin America; the new NPE3D exhibition and conference about 3D printing—and more. Free registration for members of the industry media is now available at www.npe.org/media. DESCRIPTON OF THE EVENT: NPE is a triennial international plastics exposition produced by SPI: The Plastics Industry Trade Association. 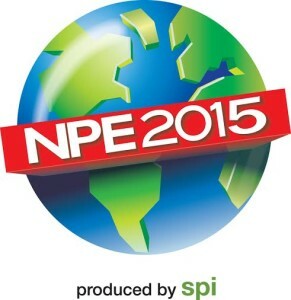 NPE2015 will be the largest plastics industry event in 2015. The trade show portion will include 2,000 exhibitors, many running machines, on over one million sq.ft. (93,000 sq.m) of exhibit space. NPE2015 will host over 60,000 industry professionals from 120 countries. Co-located events will include SPE ANTEC® 2015, the world’s largest plastics technical conference; SPI’s Business of Plastics conference; a Spanish-language seminar; the new NPE3D exhibition and conference about 3D printing; the Zero Waste Zone, featuring industry recycling and sustainability efforts; and other special programs.